Temperatures are dropping and the days are getting shorter, which means fire hazard season has officially arrived. In addition to throwing out your electric blanket and regularly watering your holiday tree, fire safety officials are asking that you practice extra caution when using space heaters this winter—namely, by not plugging them into extension cords or power strips. As KOMO News reports, space heaters plugged into power strips pose a major fire risk. Space heaters can generate a lot of energy, with heating elements sometimes reaching 600°F, which means they should only ever be plugged directly into a wall outlet. 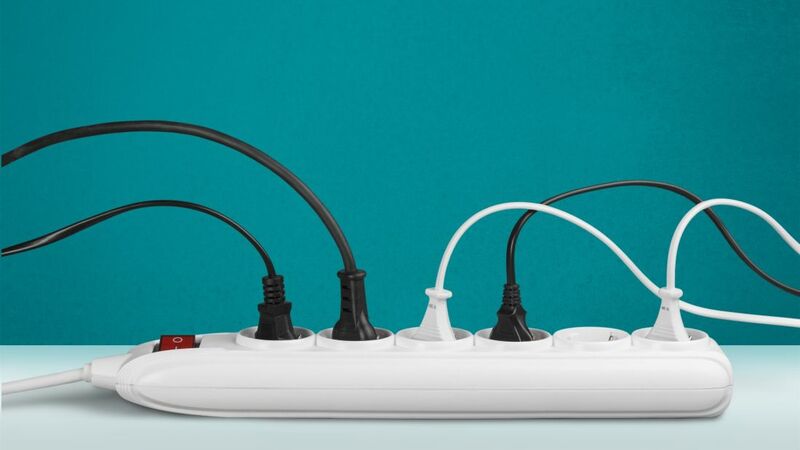 When hooked up to a power strip or extension cord, the outlet can overheat, causing it to short-circuit or to potentially catch fire. Fire departments around the country have been sharing images online of what can happen when a power strip gets too hot. Even when they're not plugged into power strips, space heaters require a close eye. According to the U.S. Consumer Product Safety Commission, more than 25,000 home fires a year are traced back to space heaters, and those fires result in roughly 300 fatalities. If you can't live without a space heater this winter, the Department of Energy has some tips for how to use them safely. Make sure your model is up-to-date with the latest safety features and the appropriate size for the room you're trying to heat. Electric space heaters should always be kept at ground level and far away from any furniture. If that's still not enough to give you peace of mind, here are some tips for staying warm that don't present a fire hazard.